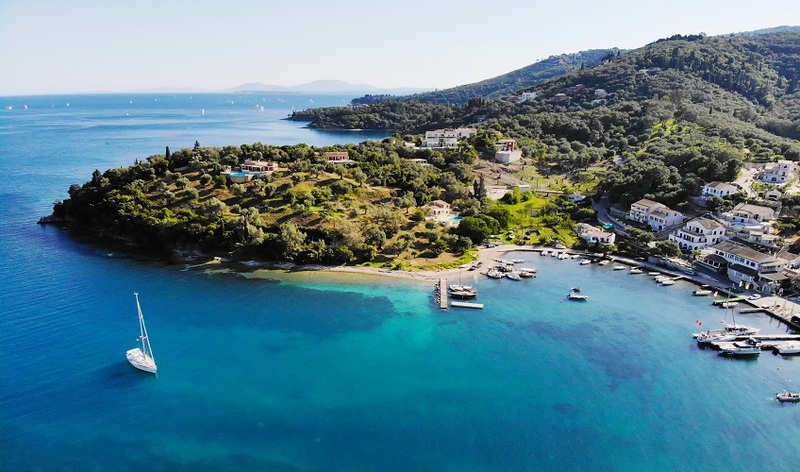 The north east coast of Corfu is dotted with picturesque small bays and inlets, each one with its own small fishing harbour and cluster of houses and tavernas. 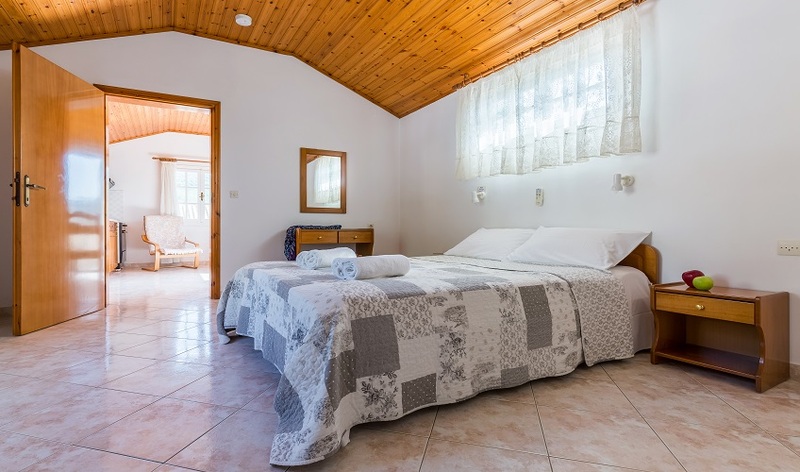 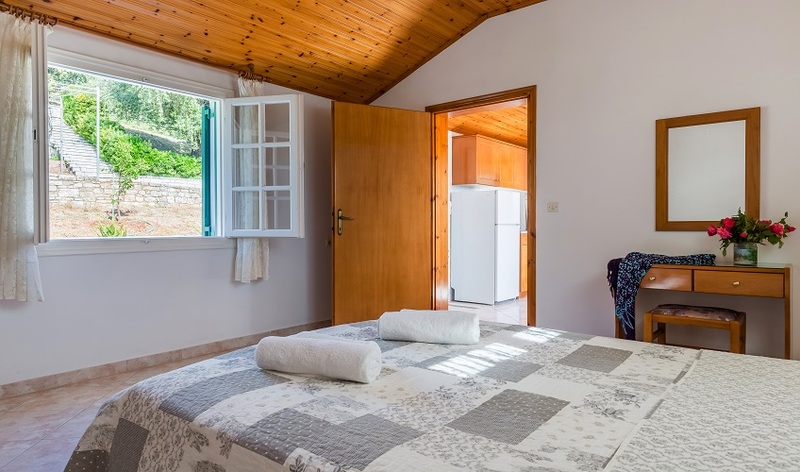 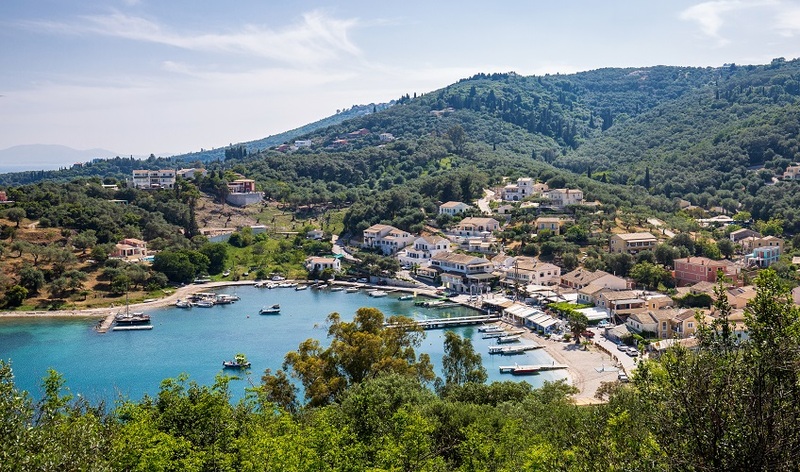 Amongst these is the delightful Agios Stefanos, a village that has remained largely unchanged over centuries, surrounded by small beaches of pebbles with some of the clearest waters, backed by cypress and olive trees. 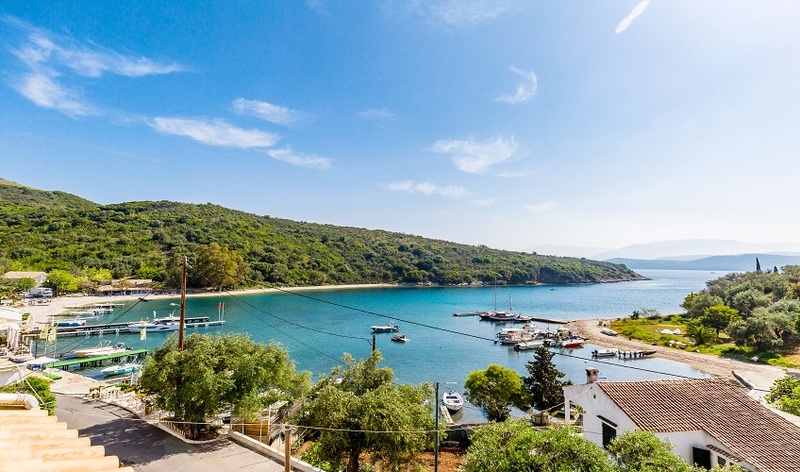 An excellent base for exploring the coastline in the immediate area, by sea or land, as well as the fascinating interior of Mount Pantokrator massif. 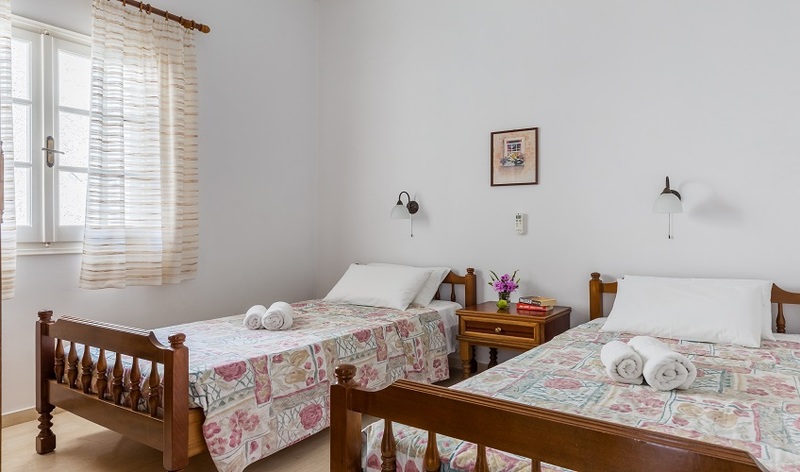 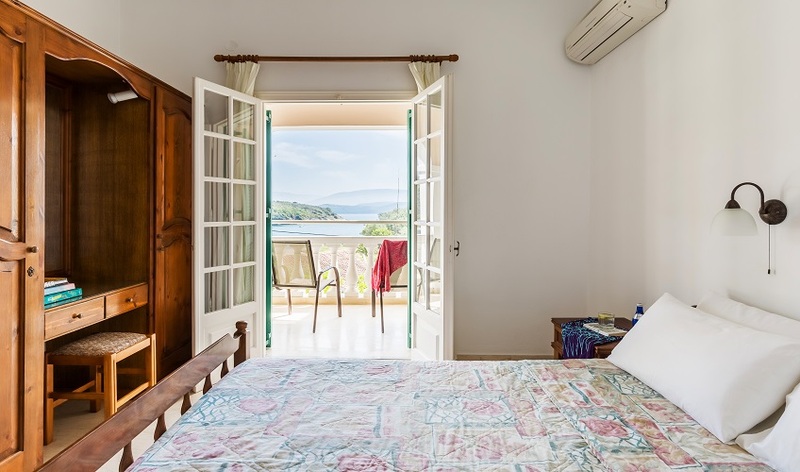 Situated down a winding lane, there is a wonderful sense of seclusion without isolation as the main port of Corfu Town is accessible to the south as is the spectacular western coastline. 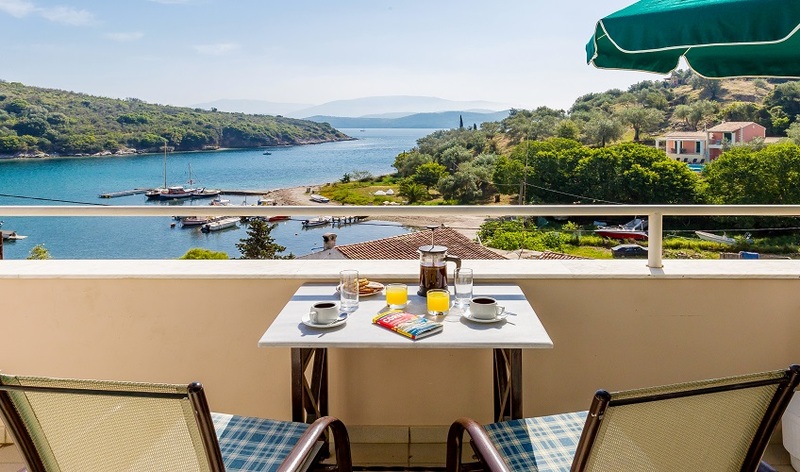 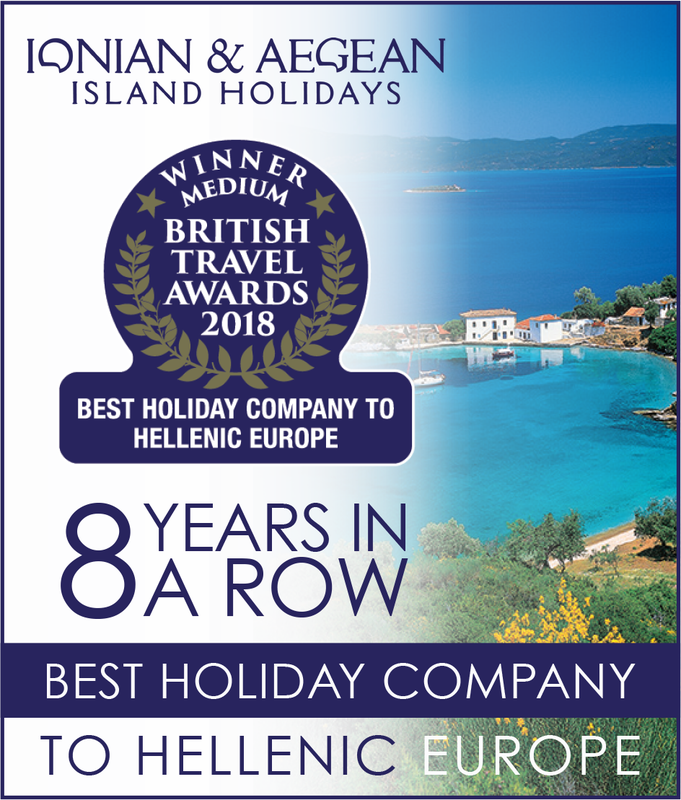 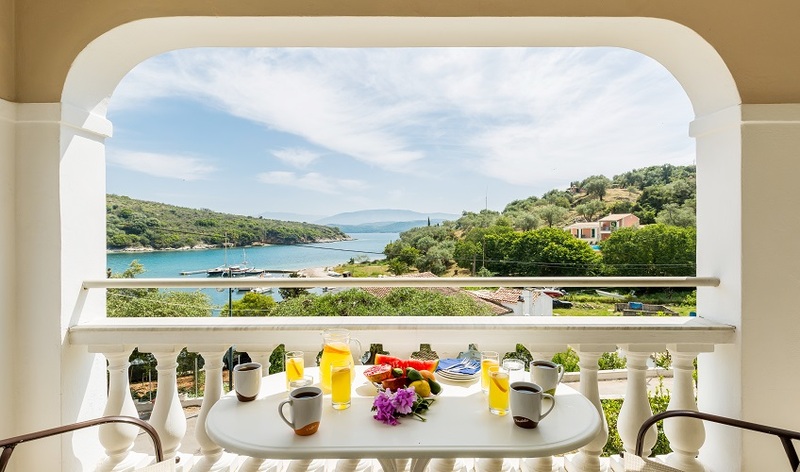 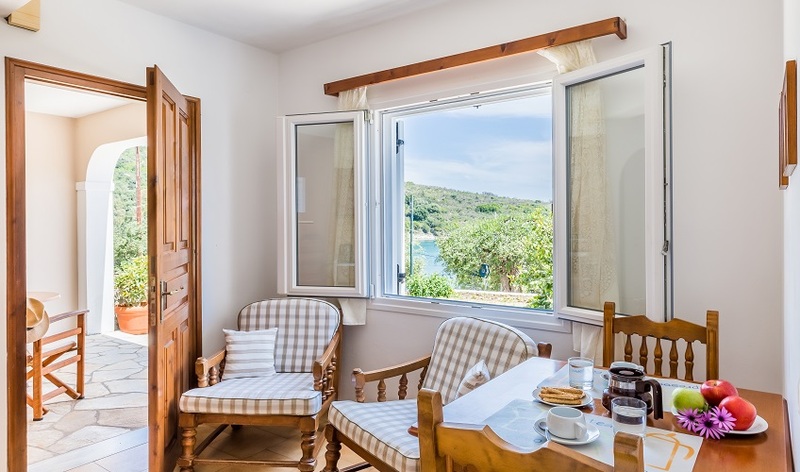 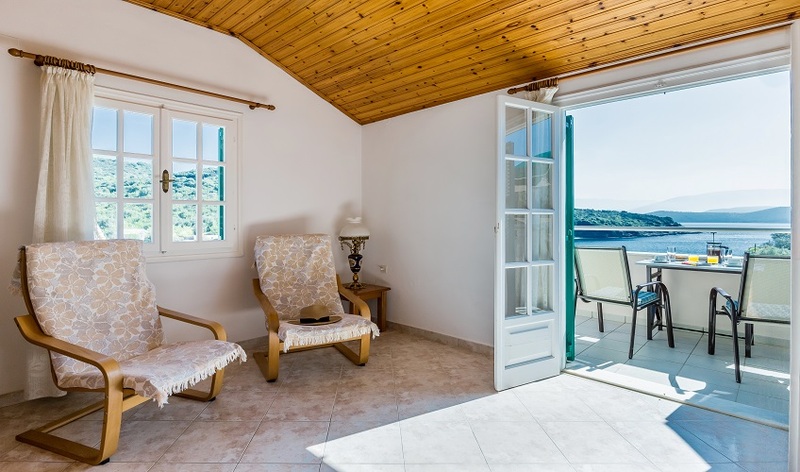 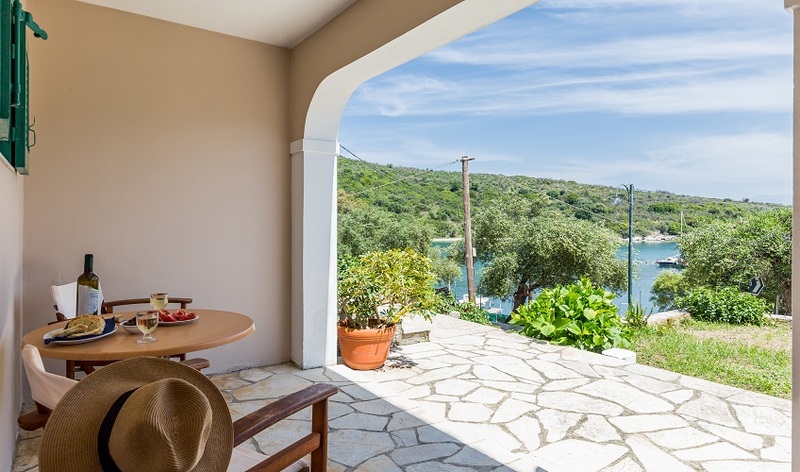 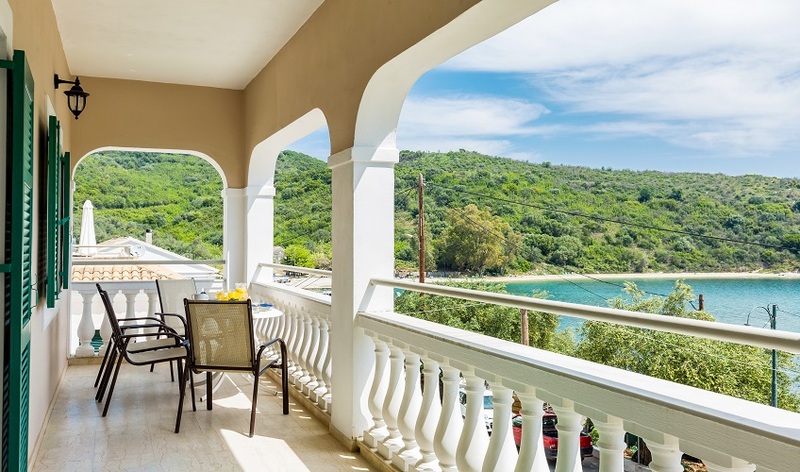 Located on the waterfront with views that take in the harbour and the mysterious Albanian mountains past the wide sweep of the inner Ionian Sea in the distance. 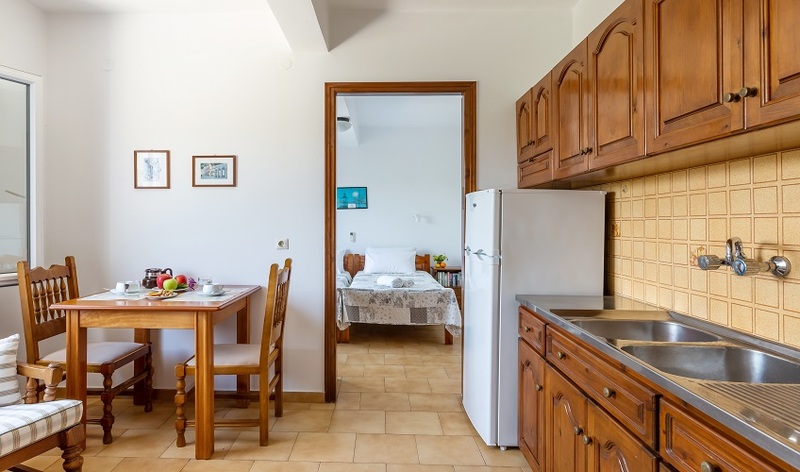 Over three floors, the apartments occupy a prime position in Agios Stefanos with everything you need close by. 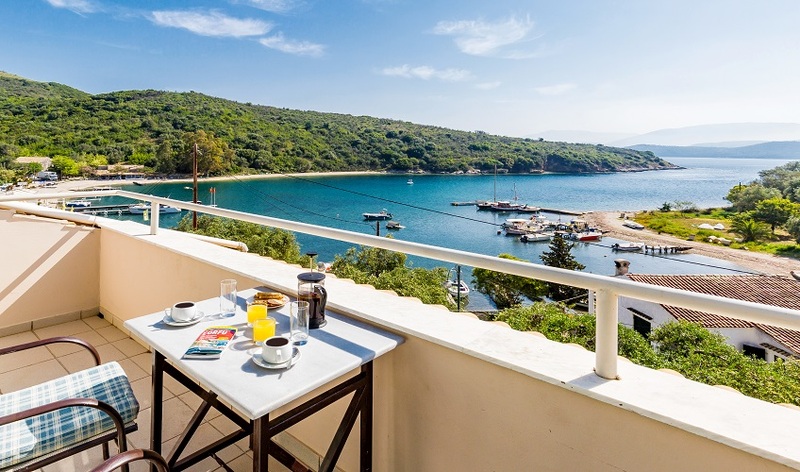 A better waterside location than the beautiful village of Agios Stefanos would be hard to find. 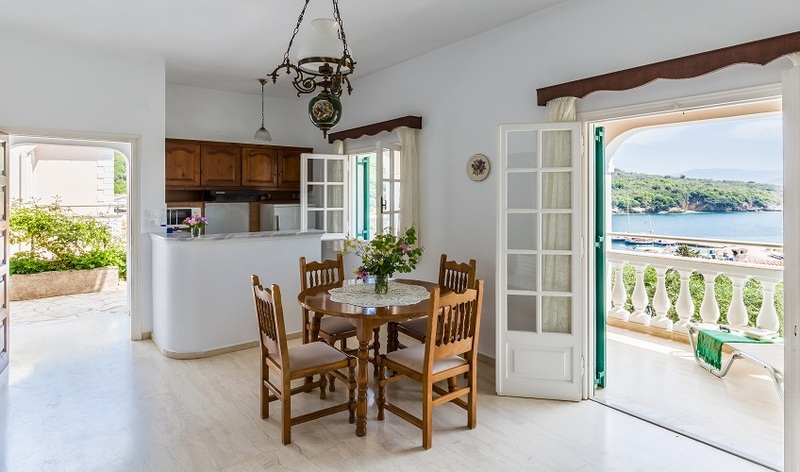 Anna: On the upper floor, a one bedroom penthouse apartment with double bed and large open plan living room, kitchen which opens out onto a majestic private open terrace with views over the harbour and beyond. 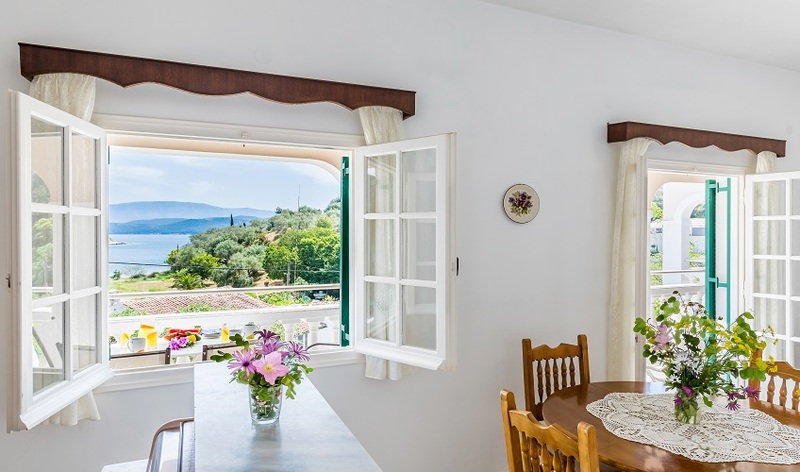 There is a further terrace at the rear. 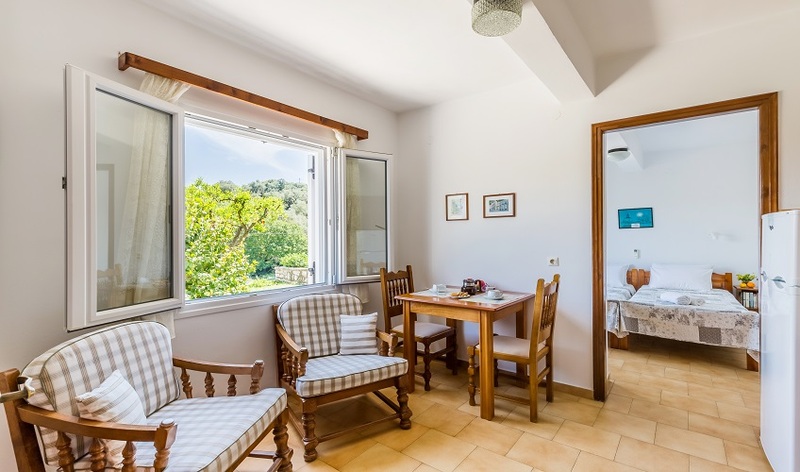 Evanna: Occupying the middle floor, Evanna a three bedroom apartment. 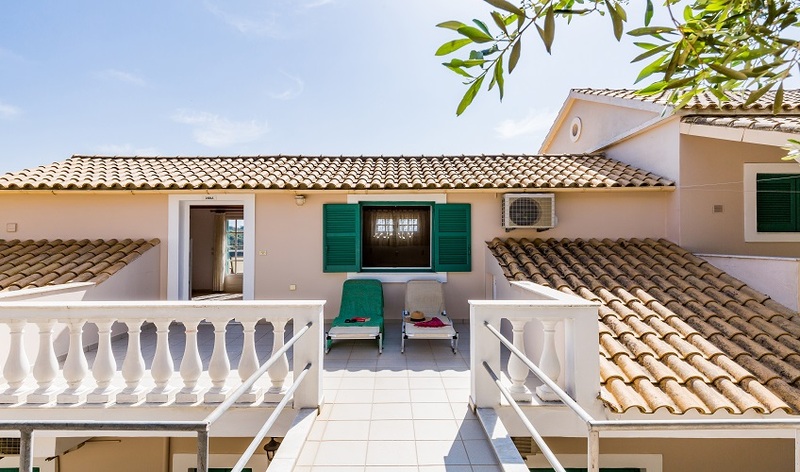 Double bedroom at the front has its own private terrace and two further twin bedrooms to the rear. 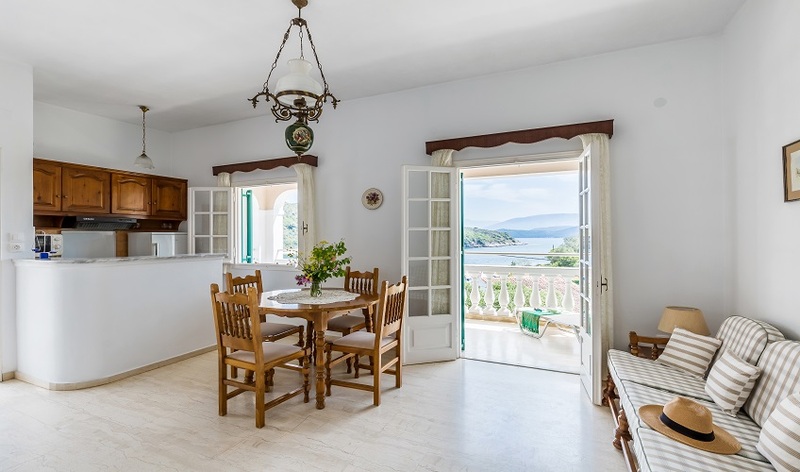 A living room with open plan kitchen opens onto a fantastic shaded terrace. 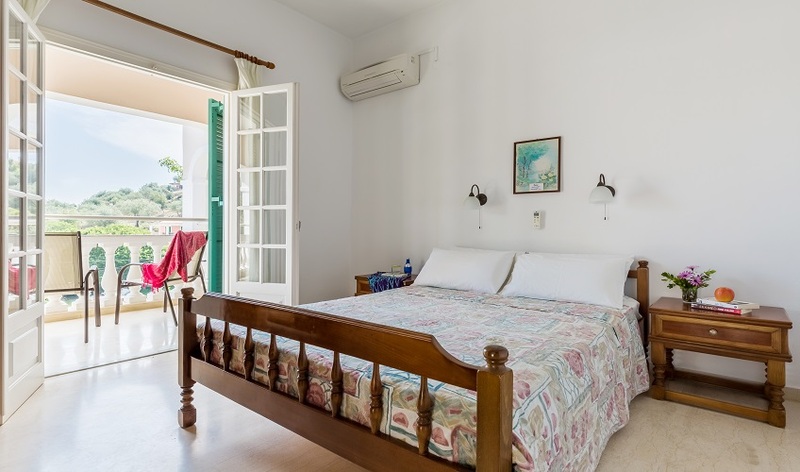 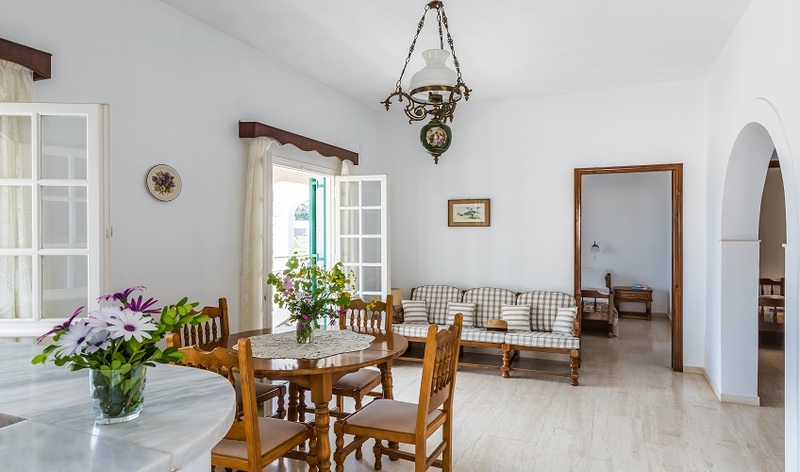 Spiros: On the lower floor but raised above street level is a cozy twin bedroom apartment with open plan simply furnished living room, kitchen and open terrace only seconds from the harbour front. 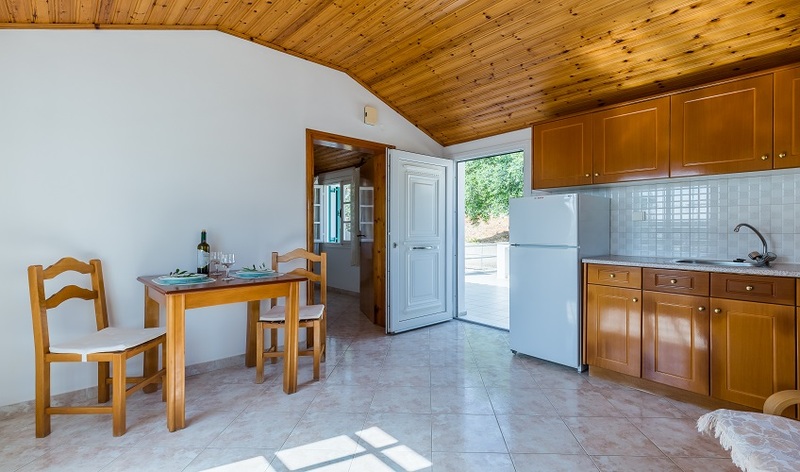 NB: If you prefer not to have a car we can organize transfers to/from property instead.